Find out how adapting to change has helped the National Library revolutionise historical research in New Zealand by creating an easy-to-search digital archive of historical records. 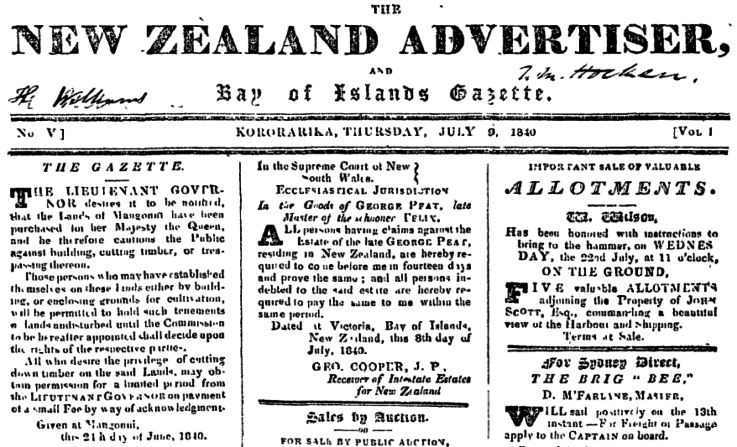 The Papers Past website is the National Library’s online archive of New Zealand newspapers, magazines, journals, diaries, letters and parliamentary papers. It lets you search through an ever-growing collection, spanning more than a hundred years of New Zealand history. 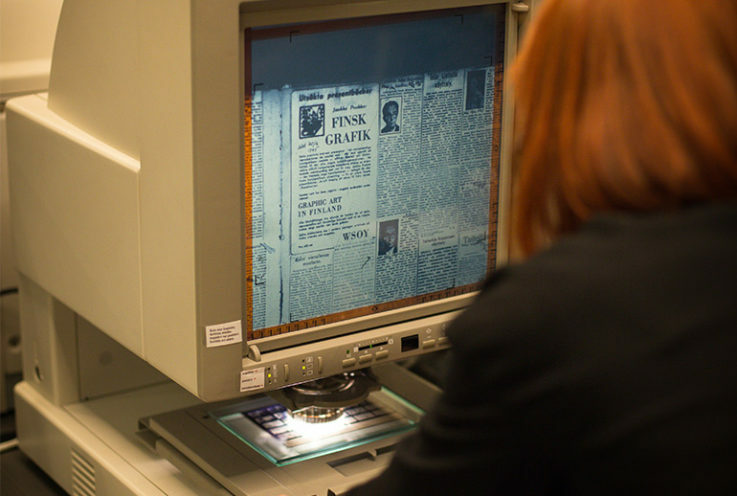 Where once you had to trawl through historical records like newspapers by skimming through them one by one on microfilm, now you can search for the subject you’re interested in across the whole collection. What might have taken many years now takes milliseconds, kicking off a new era of research. “We get a lot of commentary from people working in digital humanities and historians working in academia that historic research in New Zealand is now being divided into pre-Papers Past and post-Papers Past phases,” says Emerson Vandy, Digital Services Manager at the National Library. One of the secrets to the team’s success is the way they adapt to what they learn. When Emerson took the reins at Papers Past it was a time of change and constraint. In this case study you’ll see how he learnt from the work already done, how he negotiated those constraints and what he plans for the future of this game-changing service. “You’ve got three high level areas that are considered really important within libraries. You’ve got collecting of things, you’ve got the preserving and care of things, and you’ve got providing access to things. Papers Past is about providing access to things,” Emerson says. And provide access it does. 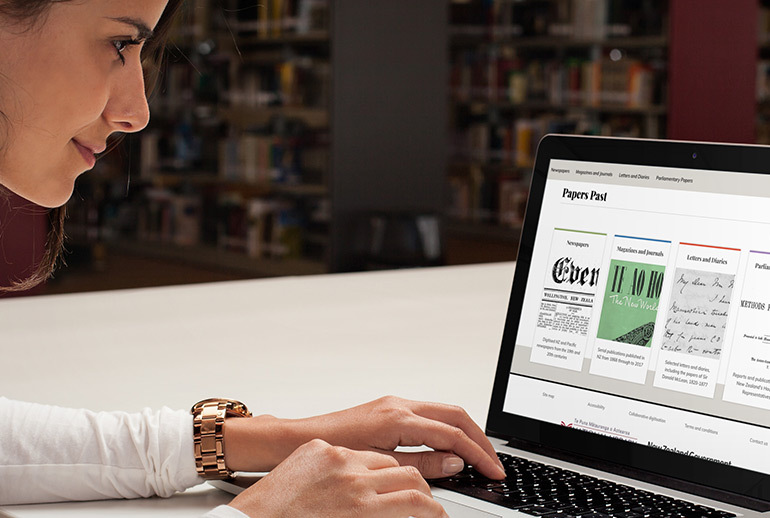 1.1 million, or one in four New Zealanders, have used National Library’s Papers Past site. Beyond the bare numbers, one of the things Emerson has learned is how much the digital archive means to people. “We get a never-ending stream of emails from people thanking us, often profusely, often emotionally,” he says. “People sharing really private, personal things about their lives or their ancestors’ lives, or really intimate feelings they’ve had about a piece of material that they’ve discovered. It all started with a small experiment called Project 251. The new service now had a name. Trying to resolve a business need (protect microfilm) had identified a user need (reading digitised newspapers online). So increasing the uptake of the digitised papers was win-win. How could the Library make the digitised papers easier to work with? The next step would be a game-changer. “Up to that point it had essentially just been browsable PDFs,” Emerson says. “It was just a digital surrogate for microfilm. This used OCR (Optical Character Recognition) to extract text from the digitised newspaper images and built a searchable index of these newspapers. This sped up the research process by several orders of magnitude. For professional researchers the searchable digital archive was a game changer. I started off using the microfilm,” says historian Paul Meredith, currently Pou Hautū at Victoria University. “That was hard yakka. You know, you start with issue one, page one and just work on through. When Papers Past came along it opened up a whole new world. It was quickly apparent that there was more demand than the service had the infrastructure to supply. The new search feature had pushed usage up twentyfold and analysis of the site’s performance showed that response times were suffering. The team had to adapt to a change of their own making. The results show that sometimes the best way to serve your users is to refine existing services, rather than always focussing on new features. When we realised how much uptake we’d had, we knew we needed to build a lot more scalability into the platform. Soon Emerson was closely involved with one of the programme’s thorniest issues: copyright. The team were able to apply what they’d learnt in these negotiations when working with the rights holder for the next most requested title, the Otago Daily Times. “I have to say, in general, even now, copyright is still the most pernicious issue around Papers Past and providing people with access to things. There isn’t a hard date for copyright cutoff,” Emerson says. “It’s different on an article-to-article level. Even now, copyright is still the most pernicious issue around Papers Past. The next phase of work built on what they’d already learnt giving people access to digitised newspapers and applied that to new types of material like magazines, journals, diaries, letters and parliamentary papers. Some of this material was available on separate sites using outdated technology. Bringing them together would help users find a wider variety of digitised papers and would reduce maintenance costs. Emerson took on this work after two frustrating false starts triggered by the Global Financial Crisis. “We initially kicked it off in early 2011. After the GFC they decided, ‘Well, this is maybe an optional thing and maybe it’s stuff that we shouldn’t do now,’ so after kicking off and doing the project initiation phase, it was shelved. The challenge was to deliver the best possible service with the available time and money. “Internally, we all have these aspirations and intentions and goals for the service that we all really love and a lot of us feel very personally wedded to, because it’s quite a vocational thing. Some of us have been working on Papers Past for 16 years. 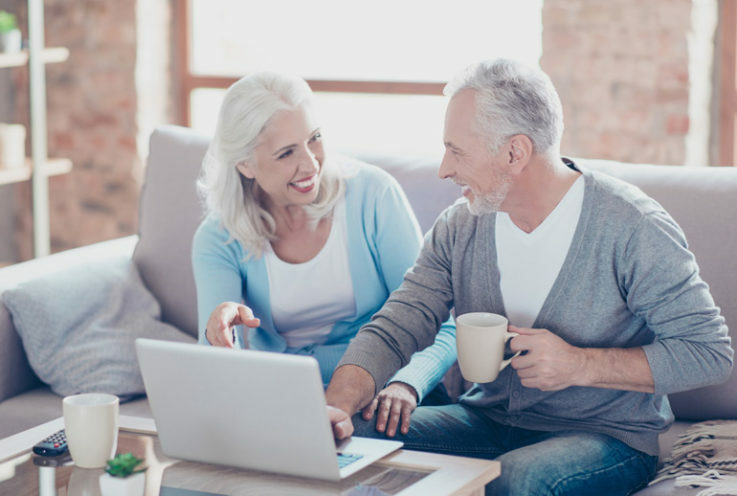 We all have these aspirations and intentions and goals for the service that we all really love…we had to balance that with the level of investment that was actually available to us. With other teams depending on Papers Past to achieve their targets, these constraints affected internal stakeholders as well as the end users. Emerson says that transparency and communication are the best way to resolve these kind of tensions. During the period the project was delayed they identified changes in the way people were using the site. “Over that time you saw the rise in use of smartphones and tablets. By the time the project was coming online, around 2016, about 40 to 50 percent of the traffic to the site was from people on mobile devices or tablets. Developing the mobile view was really significant, not just for the usability, but for access and discovery. One way the Papers Past team learn and adapt is by listening to user feedback such as feature requests. “In the near future, we’re looking at delivering the most requested feature Papers Past has ever had from users. We’ve had thousands of requests over the years from people who would like to be able to correct OCR errors that they see in Papers Past. Emerson says this kind of feature can change the relationship of the audience and the product quite significantly. “They have ownership of that material. There’s something of themselves and their identity surfaced through the content, and they’re fixing it. They form a relationship with that piece of content. Because they’re doing that, they form a relationship with the service. Increasing the impact of NZ Inc.
By speeding up research, Papers Past speeds up the generation of new knowledge. It’s a benefit that extends beyond obvious user groups like historians and genealogists. Because the records of Papers Past describe many different aspects of the world at the time the writers were working, the information that can now be easily found is useful to researchers in many disciplines. “You have climatologists, you have geologists, you have hydrologists,” says Emerson. For these and many other researchers, understanding the past and tracking trends helps us plan for the future. Thank you to everyone involved… it’s an absolute joy to use.